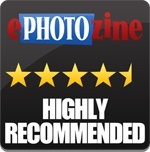 alaTest has collected and analyzed 73 reviews of BenQ SW2700PT. The average rating for this product is 4.5/5, compared to an average rating of 4.4/5 for other products in the same category for all reviews. Opinions about the reliability and size are on the whole positive. The design and usability also get good feedback. We analyzed user and expert ratings, product age and more factors. Compared to other products in the same category the BenQ SW2700PT is awarded an overall alaScore™ of 95/100 = Excellent quality. 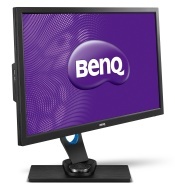 BenQ's SW2700PT offers an amazing screen with every customization option and feature possible, at a reasonable price. BenQ's SW2700PT is a reasonably priced 27-inch monitor designed for photographers. It's an excellent performer and is packed with photo-friendly features. Accurate colors. Extensive image settings. Strong feature set. Wide color gamut. No HDMI 2.0. Lacks ECO mode. If you need the ultimate in color accuracy, BenQ can deliver with its 27-inch SW2700PT. Professionals seeking a precise QHD resolution screen may rejoice when they see its low price. Today we check it out in our labs. The BenQ SW2700PT is a monitor designed for photography, graphic design, and other applications where colour accuracy is important, offering 99% AdobeRGB colour. I was concerned about quality control from reviews elsewhere, but someone I trust really liked his.